A comprehensive teachers’ manual on the successful Rock & Water course developed for late primary to senior high school boys. The course develops self-confidence, self-control and selfrespect through linking physical exercises drawn from the traditions of Tai Chi and karate to social issues that boys face, such as peer pressure, bullying, homophobia and sexual harassment. The manual describes the 13 lessons of the course in detail, as well as providing comprehensive information on the principles behind the course and the psychological and social developmental reasons for the lesson sequences. A must for male and female teachers who want to develop boys’ social awareness. First 6 lessons for Introductory 1 Day Workshop. A book written by Freerk Ykema for everyone interested in boys’ education. It contains basic ideas about the dynamics behind boys’ behaviour and links with the theoretical background information of the Rock and Water program. It is recommended for anyone who wants to work with, or is interested in, the program. This video contains five scenes about different forms of violence as shown in the third day of the Rock & Water workshop. Suitable for high school-aged children only. Subtitled in English. 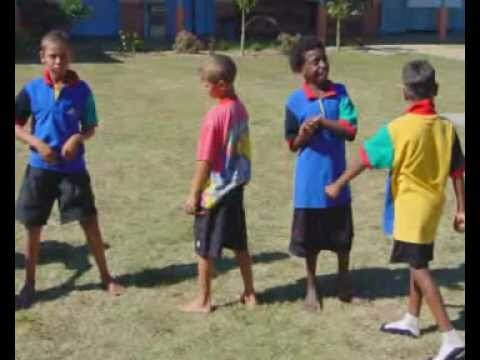 Basic exercise skills for physical-social teaching for boys (video/DVD) This video contains the most important and challenging physical exercises of the Rock & Water program and is of invaluable support for every Rock & Water teacher. Available in XXS, XS, S, M, L, XL, XXL. The Rock and Water stressballs enhance the understanding of the program and strengthen the transfer of Rock and Watertraining into eveyday life situations. Squeezing the ball will be accompanied by a slight contraction of muscles in the belly generating a feeling of calmness and strength. It helps students remember that they can always be in control and that they have a choice between a rock action or a water action. Rock and Water book: "Bringing it Together"
Edited by Freerk Ykema, Deborah Hartman & Wes Imms. The 23 case studies in this publication describe how the Rock & Water program is implemented in settings as diverse as urban primary schools, correctional institutions, Indigenous schools, large high schools, boys’ schools, co-ed schools. You name it — teachers around Australia have taken this program and adapted it to suit their students. For the first time, stories of implementation have been brought together along with the small-scale evaluation studies that have been conducted by the practitioners. This book is a must-have for anyone attempting to implement Rock & Water and wanting to ensure their implementation is making a positive difference for their students.